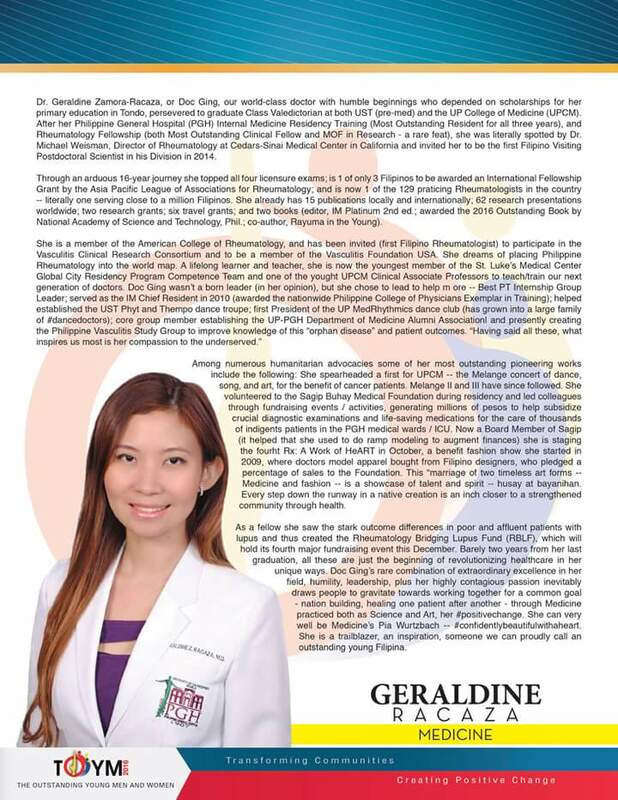 The Philippine Rheumatology Association congratulates Dr. Geraldine Zamora-Racaza for being the 2016 Ten Outstanding Young Men (TOYM) Awardee for Medicine. She received the award for her inspired advocacy work connected to the Sagip Buhay Medical Foundation and the Lupus Bridging Fund. 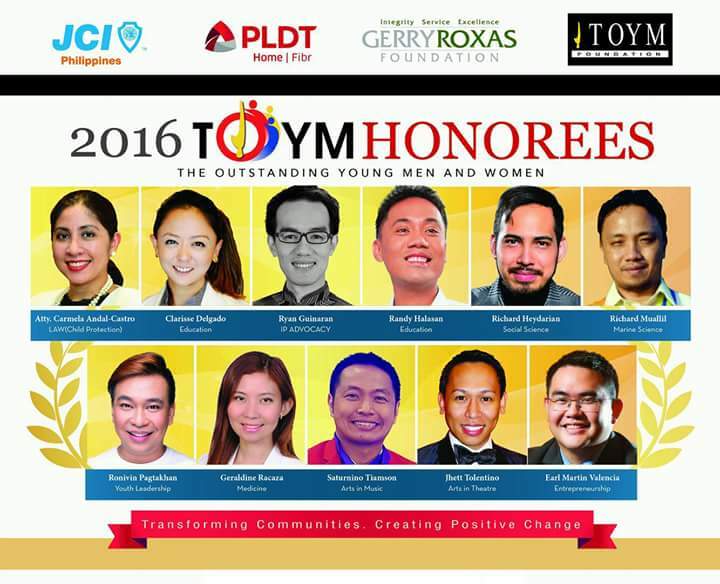 You can learn more about the TOYM Awardee and Doc Ging’s win here. Your PRA Family is proud of you, Ging!